1. Adjunct professor M.T.Pockets (“MTP”) is paid $1700 per quarter to teach a class that meets three days a week for eleven weeks. Each class meets for two hours. a) How many hours will MTP work to earn $1700? b) No wait, there are also three mandatory meetings per quarter that last two hours each, so add those on. c) Did I mention that MTP is also required to hold one office hour per week? d) Find the total number of hours MTP will have to work per quarter, and calculate the hourly rate of pay. 2. Of course teaching, meetings, and office hours are not the only responsibilities involved. To get a more complete picture, complete sections a through c.
a) MTP is an experienced instructor who has taught this class before, so prep time will be minimal. Assume one hour of prep time for every two-hour class. How many hours of prep time are required? b) MTP is also required to give two homework assignments and one quiz each week. Assume one hour to grade each quiz and 1.5 hours to grade each assignment. Add on an hour per week for entering grades, updating attendance records, and other such tasks. Find the total number of hours needed for grading and record keeping. c) Using the additional information from parts a and b, recalculate the hourly rate of pay. 3. (Extra Credit) If MTP were not experienced, the times needed for grading, prep, and record keeping would double. Use these higher figures to determine how much per hour an inexperienced teacher would earn. 4. 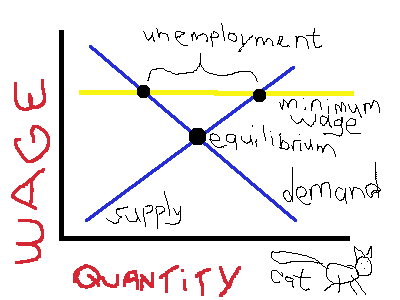 (Essay Question) How do your answers to problems 2 and 3 compare to the local minimum wage in your area? Does this affect your thoughts on the economic value of higher education? Post your answers in the comments. First correct answer wins the “Adjunct Holiday Survival Gift Basket” including ramen, toilet paper, candles for when your lights get turned off or you are living in a cardboard box, and the university football jersey of your choice. A 2 hour class held 3 days a week on an 11 week quarter system? Congratulations. You’ve just created the single most bizarrely condensed course schedule in the entire United States at literally double the class length of the typical 50 minute MWF quarter system schedule, then assigned it a University of Phoenix-level pay grade of $1700, which is only half of the adjunct pay rate at a real university. So twice the work at half the pay. My answer to your “quiz” is this: you were stupid to take that job under such ridiculous and unrealistic terms in the first place. Dear Jason Brennan et al: We know from the IP address and your rhetorical “style” that it’s you. Aren’t you a little old to be trolling anonymously? Just sign your ad hominem attacks like grownups, instead of junior Gamergaters. 1. You have absolutely no answer to a salient criticism about your ridiculously unrealistic scenario of course length and adjunct pay. 2. You spew personal attacks on what you presume to be the person(s) who raised that criticism in place of responding. 3. And you’re the one making the accusation of ad hominem. Interesting that you think this schedule is an invention. Many adjuncts teach courses like these. I’ve done it myself, for as little pay, though not, of course at Tier 1 schools. How nice for you that this has never entered your world. As for the ad hominem attacks, see your own comment below, the sentence starting with the phrase “You were stupid.” What purpose does your attack on adjuncts serve?